Hello friends how are you? I think you are waiting for this news to get a chance to work with flydubai as a cabin crew. so here I have got something good news for you today flydubai updated cabin crew job vacancy on flydubai career page. So read out this post carefully to know each and everything about flydubai jobs. All the Cabin Crew member 0f the Airline is responsible to the Senior Cabin Crew Member. And working as part of the cabin crew team in any airlines, it means taking individual responsibility for the cabin operation and the associated customer experience. But Yes its a really tough job role to maintain. The Cabin Crew member is also responsible for the safe and consistent delivery of a quality onboard service accordance to the company policies. 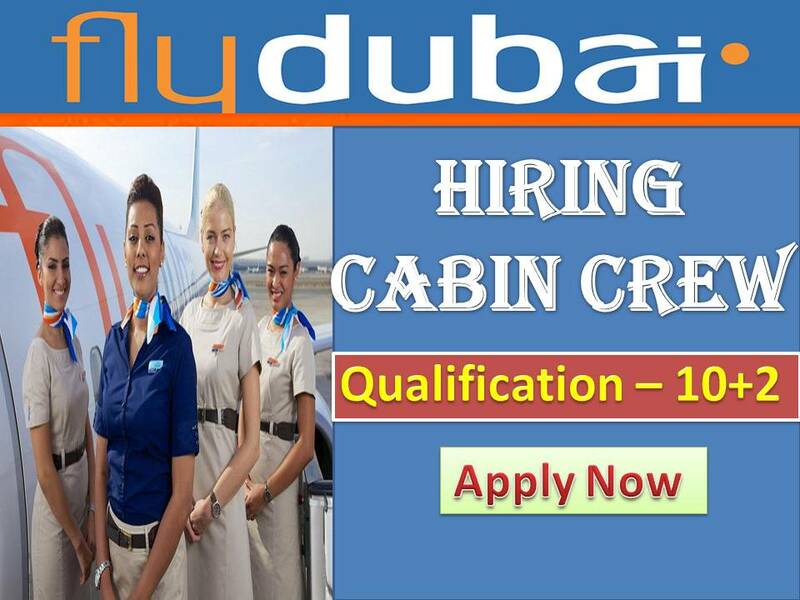 So here you can check below the important thinks to apply for flydubai careers. 1. All the cabin crew staff should responsible for safety and standards throughout the cabin. 2. Also responsible for maintaining their cabin crew license to flying. 3. You should ensure all the compliance with company policy accordance with the requirements specified in the CSPM of the company. 4. Maintain consistently high onboard standards of the airlines. 5. Ensure sales targets are met/exceeded. 6. allows showing the willingness to take responsibility for other crew and the customers. 7. Take the initiative to address difficult issues onboard and resolve those. 8. Contribute to the cabin crews delivery of on-time performance for allows keeping up the airlines. 9. Contribute to cabin crews delivery of a premium class customer service. 10. Strive to maintain operational excellence and efficiency. 11. Responsible for cash taken during the flight from any passengers. • High school diploma is required from any recognized university or board. • If the candidate has experience with any International aviation it will be a great advantage for you. • All the applicant should have Fluent in written and spoken English. • Basic numeracy skills are required. • All the applicant should have a valid passport allowing you to travel freely over the World. • Motivated, reliable, hardworking quality is required. • Passionate, friendly & fun! the person is nice to work. • Excellent team player with the ability to communicate with many nationalities. • Allows you should proud to wear the uniform & wear it in a good manner. • No visible tattoos or body art which cannot be covered after wearing flydubai uniform. • Minimum height 158cms without wearing shoes. • Focus on the Customer requirements. • As a cabin crew you should be a good Team worker. • Your communication should be effective towards your work. • Personal Accountability & Commitment to achieve. • You must have resilience and flexibility for this job. (Can do attitude). While adhering to the duties of this job, the cabin crew will work for the air cabin environment for the time. They should have a company ID and need to keep a good knowledge of the dangers of the wind side environment. This temperature will operate as low as -40 ° C and 50 ° C at high temperatures and during the 24 hour period, you will need to fly under the GCA flight time frame at any time. There are many dangers during the operation of the planes and the employees will have to take all necessary steps to reduce the risk as much as possible. The employee may need to work in specified environments and countries on the basis of the war zone shift. For Apply online Click here to redirect flydubai career page. Note – flydubai never asking any money for the interview or for employment. So in anyone have received any message or email which not ending with @flydubai.com or asking for any money. Please don’t pay anyone and immediately contact with us at [email protected] to take legal action. And make sure to include the subject line “Recruitment Fraud” to confirm the authenticity of the message. Thank you.